When Ken Burns' latest debuts in all its seven-part, 14-hour glory, PBS will also be testing audiences' appetite for binge-watching; making the entire series available for streaming after the first episode airs. "It's binge-worthy," Burns said during a recent interview in Denver. The Roosevelts , his 26th film for PBS, chronicles more than a century of United States history, from Theodore Roosevelt's birth in 1858 through the death of Eleanor Roosevelt in 1962. The Rooosevelts' come hell or high water attitudes and intrepid pursuit of higher political office are shared by another political family. Although, this one's fictional, the Underwoods are the current gold standard for what's binge-worthy. That realization, Burns said, fueled a compare and contrast exercise with House of Cards co-creator Beau Willimon. Before a live audience, Burns and Willimon discuss how the real life Roosevelts and the storied Underwoods aren’t so far apart. "Totally different political dynasty but so much is the same," said Burns. "And it shows you too that real life can be as dramatic, sometimes even more dramatic - because of the fact that it is real - than the fiction that we make up." 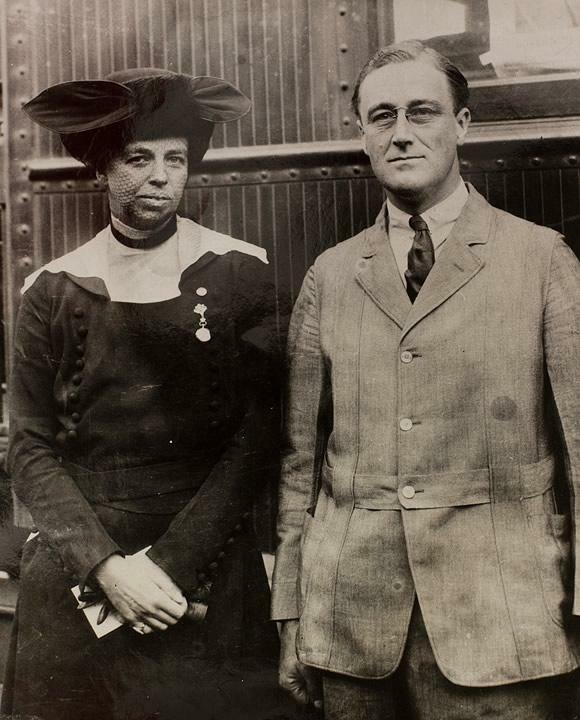 Burns' series recounts the impact the Roosevelts had on the country. It also explores lesser-known intimate details of the Roosevelt's family drama, including how they coped with physical and mental illness. Several documentarians interviewed for the film characterized the film's protagonists – Theodore Jr., Franklin Delano, and Eleanor – as three wounded and deeply flawed people who overcame circumstances with various degrees of efficacy. "It's Shakespeare. To have a single family in which human flaws and virtues are on such vivid display," documentarian Jon Meacham said in the film. "And the constant struggle between those vices and those virtues to try and do good and to fulfill ones duty." Learning about how this two-time Presidential family made its mark is the latest in the Oscar-nominated filmmakers’ career - built on voluminous work. His multi-part documentaries, which include The Civil War, Jazz, and Baseball, have consistently defied naysayers. "Each time I have made a long film the critics have told me why no one would watch it, and then people have watched it," Burns said. "And it’s because we are starved for meaning. And the relationships and the work you care most about have benefited from your sustained attention." That "sustained attention" will be put to the test when The Roosevelts: An Intimate History, debuts on PBS stations Sept. 14. Marking the first time PBS viewers’ can watch content online before it has aired, immediately following part-one’s broadcast, the entire series will be available for streaming online.